ESCO (Equipment Supply Company) is pleased to announce the new Heavy Duty “HD” 10 Ton High-Lift Jack Stand [Model #10493]. The HD 10 Ton High-Lift Jack Stand is designed to provide extra heavy-duty support on raised vehicles. The High-Lift Jack Stand has a spring assisted shaft and up to 11 total adjustable pin positions for precise height. Also included is a adjustable lifting pad to support the load. 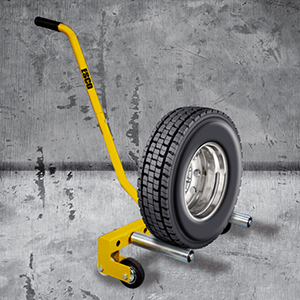 With three spring loaded caster wheels, movability is simple and easy. The folding tripod design makes for easy storage. 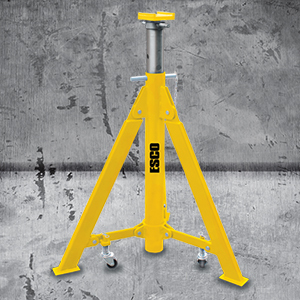 The Heavy Duty “HD” 10 Ton High-Lift Jack Stand [Model #10493] is available now wherever ESCO products are sold. For more information about this product and where to buy ESCO product email sales@esco.net or call 1-800-352-9852 or visit www.esco.net and search “ESCO HD 10 Ton High-Lift Jack Stand”.